So Chicago was eliminated in the first round of International Olympic Committee voting as the host city for the 2016 Summer Olympics, a source of great surprise to many, particularly in light of Barack Obama making the final pitch personally. Still, one thing bears repeating: no city hosting the games has ever made money from the Olympics. Los Angeles’ $233 million surplus only took direct expenses into account; it did not include indirect expenses such as security and infrastructure. Montreal took 30 years to pay off their Olympic debt. Nagano, Japan’s Olympics were so costly and controversial that the city’s Olympic organizers destroyed the games’ financial records. On the plus side, Chicago 2016 would have been a tremendous boost to the city’s international trade, (though it would have impacted tourism only slightly). Then there’s the unquantifiable brand enhancement. Chicago 2016 might have been the catalyst to wipe away the moniker of the City of Al Capone forever. In the spirit of good sportsmanship, we send our congratulations to the host city of the 2016 Summer Olympics – Rio de Janeiro. The first South American city to host the games, few in Chicago can begrudge Rio its victory. Over the last 30 years, China has become the world’s factory floor, offering a massive and highly mobile workforce, fast turnarounds and low production costs. The “Made in China” label can be found on virtually any product sold across the globe, from shoes and clothing to power plant components and process control systems. 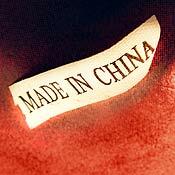 Even products labeled “Made in USA” — such as medication — are frequently born of Chinese-made components. Most Americans are now well-acquainted with Chinese-made products, for better or for worse. Yet how many Americans can name a single Chinese brand? Lenovo might come to mind, or perhaps Tsingtao, one of China’s favorite libations. But any list of the top global brands is invariably devoid of Chinese names. How is it that a country of 1.3 billion people with the world’s third-largest economy has not produced any true international brands? Newsweek offers up a few possible explanations. Their recent article on China’s branding dilemma focuses on Huawei, one of the world’s largest electronics and telecommunications firms and “the best company you’ve never heard of”. Huawei, founded in 1988, is so substantial that they are “poised to overtake Nokia Siemens as the world’s second-largest maker of telecom hardware, after Ericsson.” In fact, “one out of six people on the planet use Huawei hardware”, but most consumers outside of China can barely pronounce the name, let alone recognize the company’s products. Huawei’s problem? According to Newsweek, the firm sells few products directly to consumers, does not engage the public, and spends little effort or capital on marketing. Meanwhile, the branding challenge appears to be systemic in China. Newsweek names four key forces that are preventing Chinese brands from emerging on the world stage: “cutthroat domestic competition”; tough cost pressures from foreign brands; “weak protection for intellectual-property rights”; and, of course, a bad reputation for quality after the perpetual product recalls and safety violations. After all, it was Chinese-made products that helped familiarize the average consumer with melamine in the wake of the massive Chinese milk scandal. Branding remains an unfamiliar concept in China, so Chinese firms attempting to sell to the international consumer face an uphill battle. Chinese firms expend quite a bit of energy copying foreign brands rather than investing in innovation. Many of China’s major companies grew using technology or branding “borrowed” from established foreign multinationals. Of more consequence, the Newsweek article fails to point out Huawei itself allegedly stole quite a bit of Cisco Systems’ source code. Cisco filed suit against Huawei in 2003 for IP infringement, a case that was settled when Huawei agreed to alter its product line. Already, there is a major push in China towards value-added industry and innovation. After all, China can’t rely on cheap exports forever, especially when faced with the decrease in consumer spending in traditional export markets. As such, the branding dilemma is likely to play a major role in debates about the future of the Chinese economy. China’s success or failure at creating international brands will have huge repercussions for the global economy.